There is nothing more boring than walking around for 4 hours, watching people take a test. Hate testing days! I had even more fun after getting home, because I'm brilliant. I told myself, "You don't have enough of that fabric." Then I cut that fabric. Then there wasn't enough of that fabric. It's shocking! 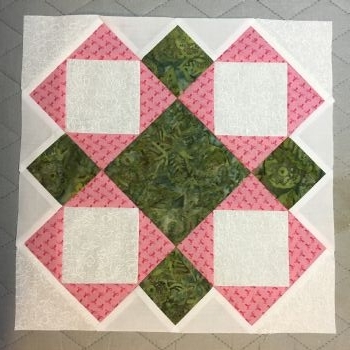 So, now there are 2 different whites in the block...Willow Haven variant.